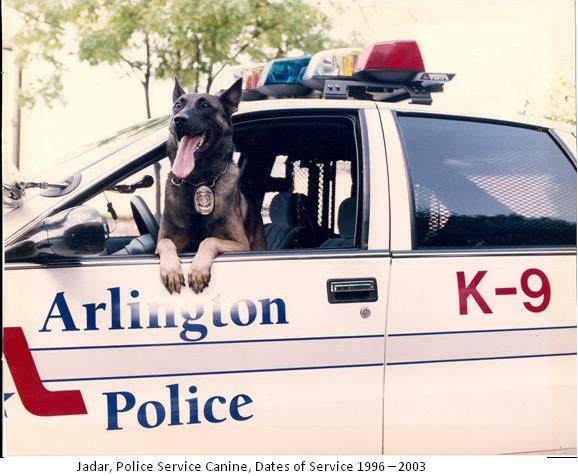 As a tribute to the City of Arlington police and fire service dogs that provide devoted and loyal service protecting our community, the citizens of Arlington are raising funds to construct a monument honoring retired and deceased public safety K9's. "This was a citizen-initiated project from the very beginning," said Sgt. Christopher Cook of the Arlington Police Department. "They reached out to see what they could do by raising money and choosing a location that is frequented by animal lovers." The bronze memorial depicting a Police and Fire Service K9 is expected to cost approximately $100,000. Donations will help fund this project to honor the lives of our public service K9 heroes. All donations are tax deductible in accordance with Section 170©(1) of the Internal Revenue Code.